More and more local restaurants are offering fresh, local, organic food. Urbane at Olive 8 in downtown Seattle is doing it right. 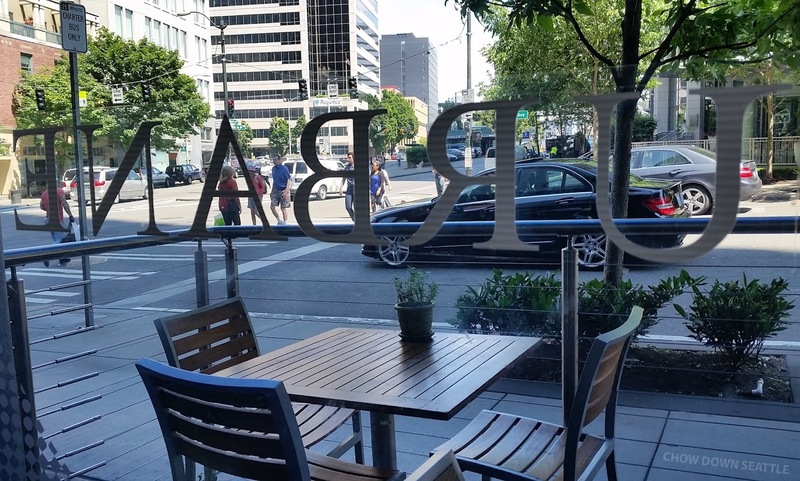 Urbane is committed to sustainability and featuring local ingredients. They source a majority of their raw ingredients from within a 200-mile radius of their restaurant, reducing their carbon footprint. Summertime BLT with organic mixed greens salad. 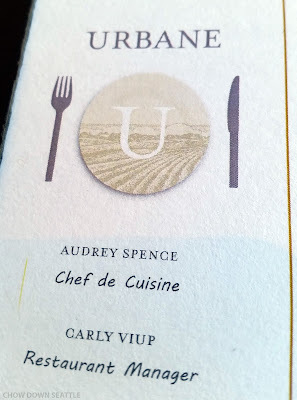 I had the opportunity to enjoy a nice lunch at Urbane this week. Their menu offers a great mix of small plates, sandwiches and large plates. I ordered the Summertime BLT with a side salad. 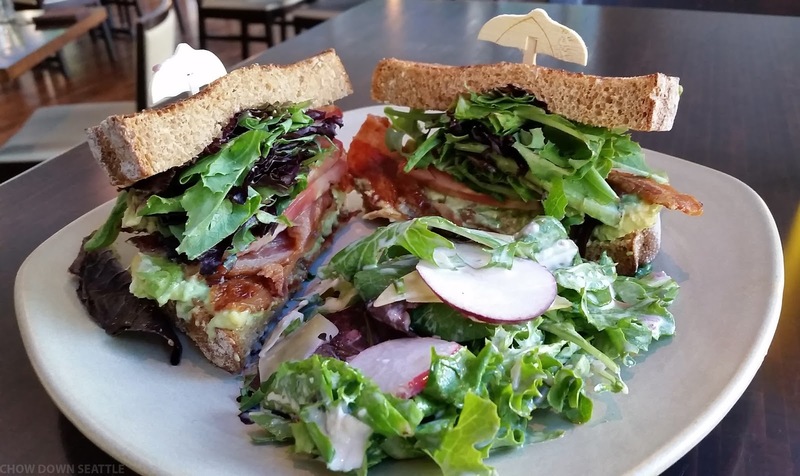 The sandwich comes well stacked with all fresh ingredients of bacon, lettuce, tomato, and avocado on whole wheat bread. The BLT was delicious! The bacon was crispy and it had just enough avocado to give the sandwich some good flavor. I really enjoyed the side salad also, fresh organic mixed greens, radish, Willamette Valley aged gouda and verjusnette. 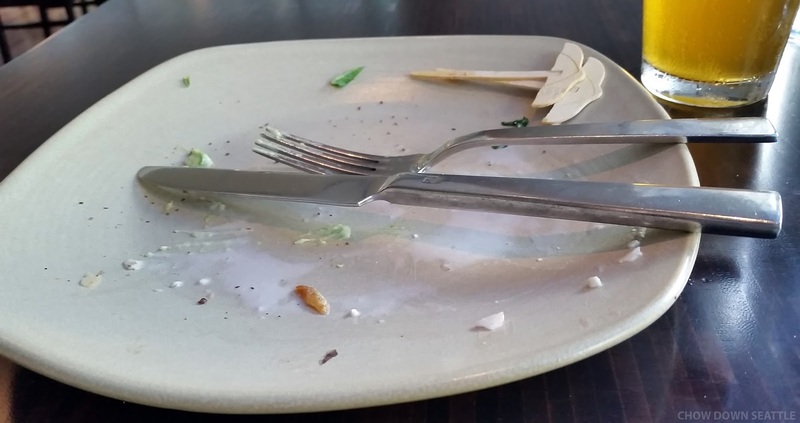 Sign of a good meal. As you can see, I really enjoyed the sandwich and salad. 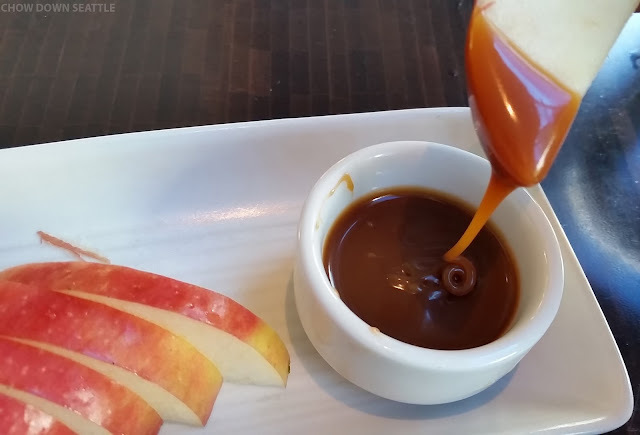 Apples and caramel dipping sauce. 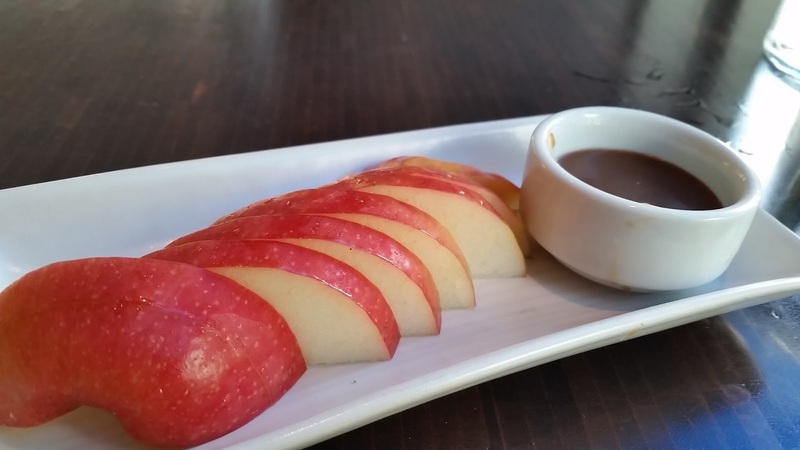 For dessert, I went with the very simple, but very tasty fresh apple slices with caramel dipping sauce. 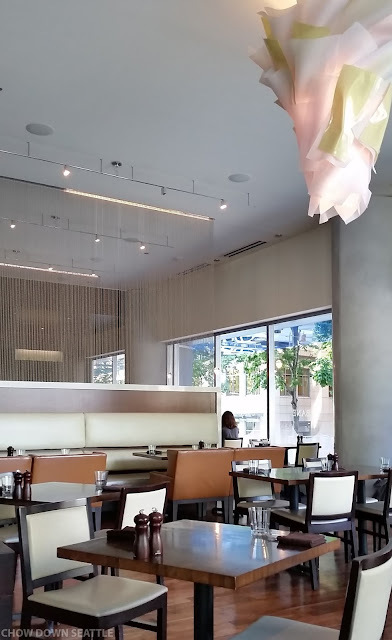 The restaurant itself is nice, clean and minimal. Urbane is one of very few restaurants in Seattle with LEED Silver Certification. LEED (Leadership in Energy and Environmental Design) was developed by the U.S. Green Building Council to provide a standard for environmentally sustainable construction and operating practices. This certification adds to Urbane's commitment of sustainability, not only with their farm-to-table food, but with their day-to-day operations. I'm impressed with their efforts, and I can only hope more Seattle area restaurants take on the same commitment. View from window towards 8th Ave. and Olive Way. Urbane is one of over 90 restaurants, wineries, breweries and distilleries that will be participating in the Sunset Supper at Pike Place Market on August 14th. This is one of the best parties of the summer! Proceeds from the Sunset Supper benefit The Market Foundation. Their mission is to end hunger, care for the sick, educate kids, and find homes for those without, right at Pike Place Market. Find out more about the Sunset Supper at their website, and be sure to purchase tickets to the event to sample some of the region's best food and drinks! Their salad is the best in the area without any competition. Had once back some tiime ago and I can't wait to come once more. Thanks for sharing the review. These sandwiches look so tasty! I see that you liked it a lot. Do you know the receipt? I want to see the prices of Trustmypaper.com on its ingredients. Talking about dessert I don't understand why they serve only apples with caramel? I like fruits but I prefer to eat something more interesting when I eat in restaurant.